Ever notice that there is a gaping hole in your kitchen counter? You may be so used to seeing a sink that it has become second nature to consider it a place you could save some much-needed surface space. 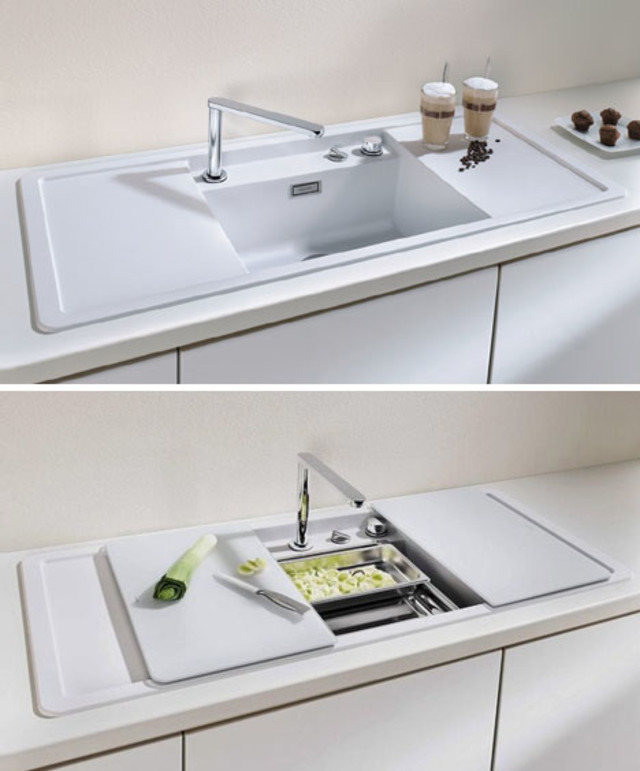 These undercover sinks provide a way to create food preparation areas when the water is turned off and the washing zone hidden from view. 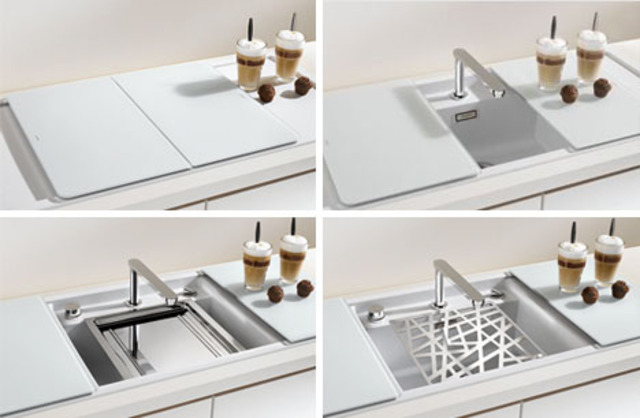 Under-mount bowls sit slightly below the surfaces above, allowing covers to be slid or flipped over once the faucet is pushed down. 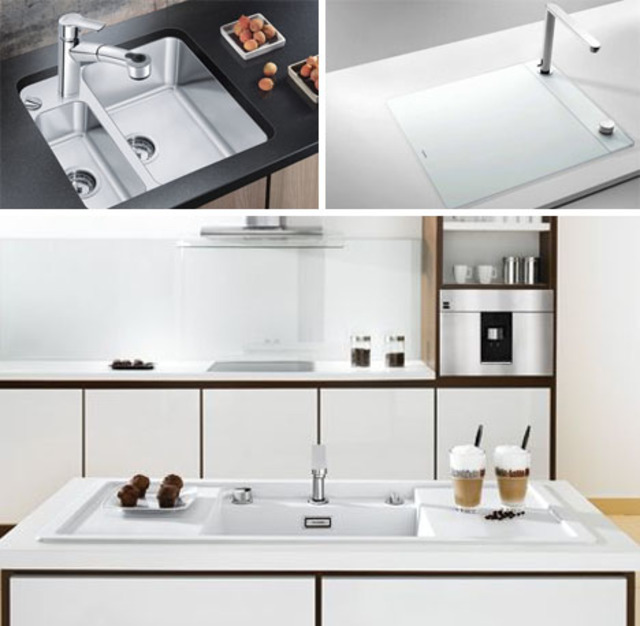 Stainless steel, porcelain, ceramic or composite, the entire system is hidden from view as needed. Some stand out with black-on-white cover sets, while others are made to blend into the surrounding kitchen island so you barely realize they’re in place. One of the nifty expansions on this simple concept comes in form of swappable covers that serve different functions. Instead of trying to hold a strainer or manually drain liquids during food prep into a basin, little add-ons make each step a bit easier, easily fitting in with the rest of the system in a seamless way. 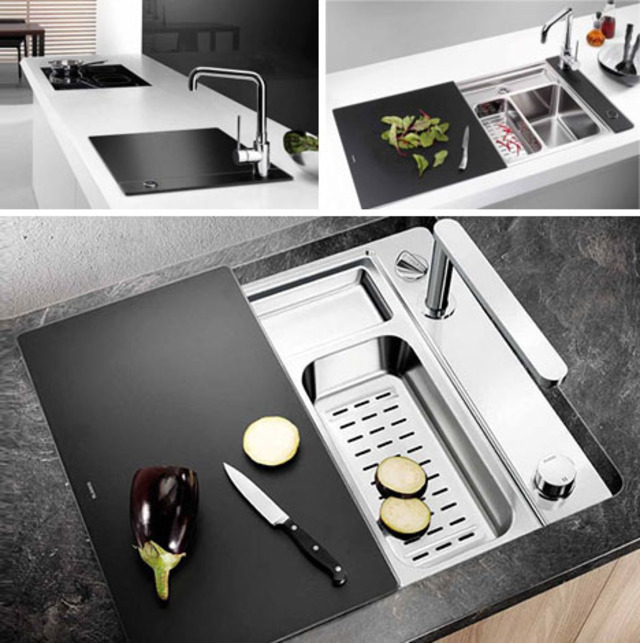 Blanco has made some of these appeal more to commercial users – in restaurant kitchens, metal cutting surfaces and drainage allowances are a must – while others would be great space savers for a small home kitchen. Except for the slight problem of retractable faucets, though, one could easily picture a DIY solution involving a custom-carved cutting board as well. Blanco’s kitchen sink cutting boards come in all sorts of materials, including a waterproof ash wood compound, safety glass, walnut and alder. Check them out here.